Tom is an enthusiast writer and broadcaster about architecture, cities and places. He was educated at Oxford University and University College London, and began his career at Perspectives, the Prince of Wales’s architectural magazine, before becoming exhibitions curator at the Royal Institute of British Architects, and then deputy editor of Space, the Guardian newspaper’s design and homes section. He is an architecture critic for BBC television’s weekly arts programme, The Culture Show. He has also recently presented a new BBC2 series, The Great Interior Design Challenge. He has written and presented many documentaries on British television and radio, including Channel 4’s The Secret Life of Buildings and BBC2’s Saving Britain’s Past. He writes for The Guardian newspaper’s Weekend magazine and has been architecture critic for The Times newspaper, London. 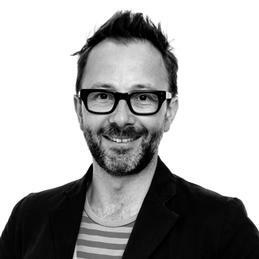 Tom has written widely for international publications such as GQ, Arena, Wallpaper, Domus, Icon and Blueprint, has taught at University College London, and as a visiting critic at other universities, and regularly lectures and hosts or chairs events, including The Stirling Prize in 2009 and 2010. Tom is an Honorary Fellow of the Royal Institute of British Architects, a trustee of the Architecture Foundation.